Accessibility: The lighthouse is not open to the public; it is best seen by boat. It can be seen distantly from the roadside on the Schoodic Peninsula. The facility: Lighthouse built in 1856. Accessibility: A visitors center and museum is located in the keeper’s house and is run by the West Quoddy Head Light Keepers Association. The center and museum is open Memorial Day weekend through mid-October, daily, 10 a.m.-4 p.m. Call 207-733-2180. There is parking in West Quoddy State Park, a short walk from the lighthouse. The lighthouse tower is not open to the public. 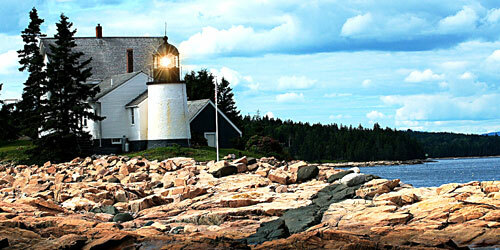 The facility: Active U.S. Coast Guard aid to navigation; property maintained by Maine Department of Parks and Land. Lighthouse built in 1858. Light flashes two white flashes every 15 seconds; fog signal is two blasts every 30 seconds. Accessibility: The lighthouse is not open to the public and is best seen by boat. The facility: Active U.S. Coast Guard aid to navigation; the island is part of the Maine Coastal Islands National Wildlife Refuge (207-546-2124). Lighthouse built in 1855. Light flashes white every 10 seconds; fog signal is one blast every 30 seconds. Accessibility: The lighthouse is on a Navy base and is not open to the public except for occasional special events. It can be seen across the harbor from Route 186 in Prospect Harbor. You can also drive to the entrance of the Navy installation at the end of Lighthouse Point Road off ME 195 for a good view of the lighthouse. The facility: Lighthouse built in 1891. Light flashes red every six seconds with two white sectors. Accessibility:The grounds are open to the public; the lighthouse is not. Grounds open all year, 9 a.m. to sunset; free parking. 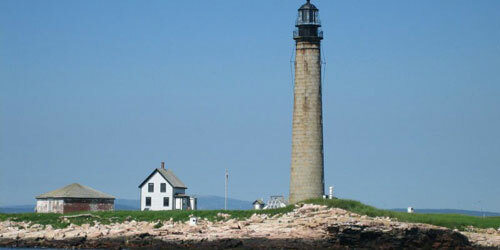 Information: The Tremont Historical Society conducts occasional tours of the lighthouse; call 207-244-9753. The facility: Active U.S. Coast Guard aid to navigation and Coast Guard housing. Lighthouse built in 1858 and automated in 1974. Keeper's house (1858) stands. Light signal is three seconds red, then one second darkness. Accessibility: Lighthouse is privately owned and is not open to the public. It is best viewed by boat. The facility: Lighthouse built in 1853. Accessibility: The lighthouse is not open to the public and is best viewed by boat. The facility: Active U.S. Coast Guard aid to navigation. 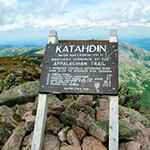 Maintained by the U.S. 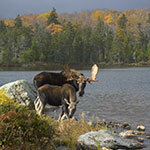 Fish and Wildlife Service as part of the Maine Coastal Islands National Wildlife Refuge (207-546-2124). Lighthouse built in 1875. Light flashes red every five seconds; fog signal is two blasts every 30 seconds. Accessibility: Not open to the public. The facility: Active U.S. Coast Guard aid to navigation. The lighthouse can be seen distantly from shore and is best seen by boat. Present lighthouse built in 1890 and automated in 1939. Lighthouse flashes white every six seconds; fog signal is one blast every 15 seconds. Accessibility: The lighthouse is used as a whale research station and is not open to the public. It is best viewed by boat. The facility: Lighthouse built in 1847. Light flashes white every 15 seconds; fog signal is two blasts every 30 seconds, operating continuously. Accessibility: Lighthouse tower is not open to the public. The facility: Baker Island is accessible only by boat. 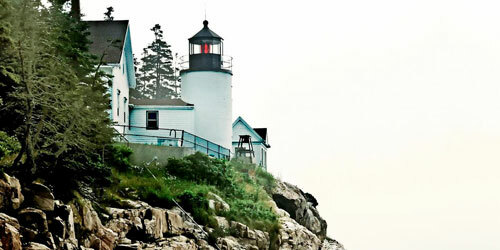 The Bar Harbor Whale Watch Company offers a tour. Lighthouse built in 1855 and automated in 1966. An 1855 keeper’s house still stands. Light flashes white every 10 seconds. Accessibility: There is limited parking near the lighthouse and the grounds are open during the day. The lighthouse is not open to the public. The facility: Property is maintained by the town of Castine (207-326-4502). Lighthouse built in 1829. Accessibility: The lighthouse and island are privately owned and are not open to the public. Best seen by boat. The facility: Lighthouse built in 1857. Accessibility: The island and lighthouse are not open to the public. For the best viewing location, turn right on Eggemoggin Road just after crossing the bridge to Little Deer Isle and continue to the end. The facility: Lighthouse built in 1854. Accessibility: The lighthouse is not open to the public and is best seen by boat. The facility: Active U.S. Coast Guard aid to navigation. Lighthouse built in 1857. Light flashes white every six seconds; fog signal is one blast every 15 seconds. Accessibility: The lighthouse is not open to the public. It is best seen by boat. The facility: Active U.S. Coast Guard aid to navigation. Lighthouse built in 1838. Light flashes white every four seconds. Accessibility: The lighthouse is not open to the public. It is best viewed by boat. 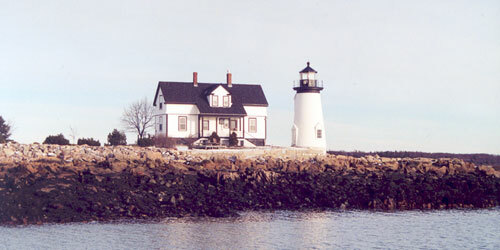 The facility: Present lighthouse built in 1889; discontinued in 1982; relighted as automatic private aid to navigation in 1989. Light flashes white every five seconds. Accessibility: The lighthouse is not open to the public. It is best seen by boat; a distant view is possible from Great Wass Island. The facility: Active U.S. Coast Guard aid to navigation. Lighthouse built: 1851. Light flashes white every 30 seconds; fog signal is two blasts every 30 seconds. Accessibility: The grounds are open to the public. 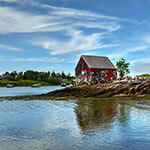 Isle au Haut is accessible by ferry from Stonington. The lighthouse is not open to the public. The facility: Active U.S. Coast Guard aid to navigation. The keeper's house is operated as a bed and breakfast inn. Information: Jeff and Judi Burke at 207-367-2261. Lighthouse built in 1907. Light flashes red every four seconds with a white sector. Accessibility: Little River Lighthouse is now open for overnight stays.The facility: U.S. Coast Guard aid to navigation. Lighthouse built in 1876. Light flashes white every six seconds; fog signal is one blast every 10 seconds. Information: 207-259-3833 or visit www.LittleRiverLight.org. Accessibility: The grounds are open to the public; the lighthouse is not. Swans Island is reached by ferry from Bass Harbor. Information: 207-526-4279. The facility: Active U.S. Coast Guard aid to navigation. Lighthouse built in 1872. Light flashes every four seconds. Accessibility: The lighthouse is not open to the public; it is best seen by boat. 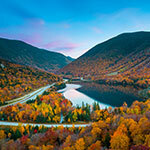 It can be seen distantly from a roadside picnic area on Route 1. 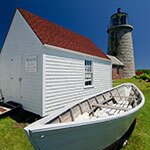 The facility: Active U.S. Coast Guard aid to navigation, maintained by St. Croix Historical Society at 207-454-2604. Lighthouse built in 1910. Light flashes three seconds of green alternating with three seconds of darkness. Accessibility: The lighthouse is best viewed by boat. The facility: Lighthouse built in 1873. Accessibility: The lighthouse is not open to the public; it is best viewed by boat. 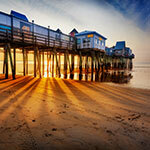 Information: College of the Atlantic at 207-288-5015. The facility: Lighthouse built in 1890. Light flashes red every five seconds; fog signal is one blast every 15 seconds.